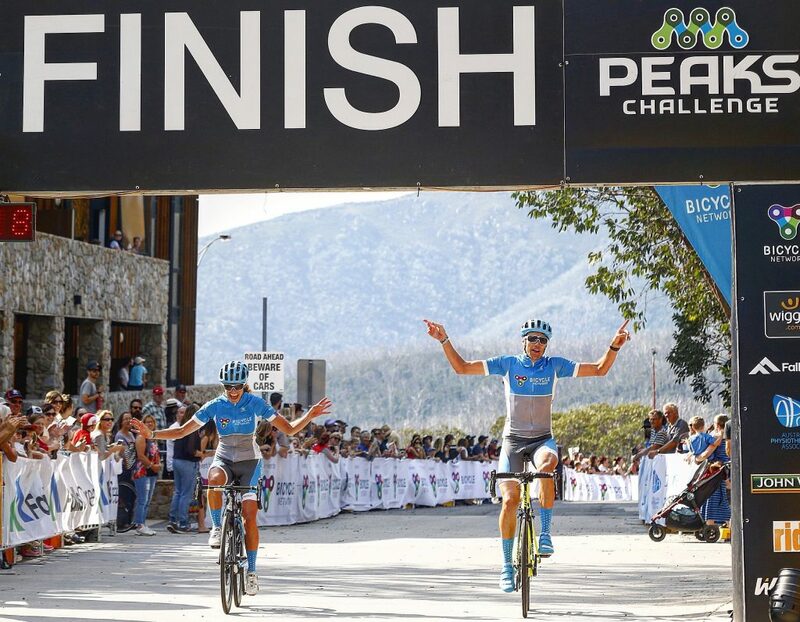 In this podcast Cam Nicholls from Bike Chaser interviews Lee ‘Hollywood’ Turner about Peaks Challenge Falls Creek. Notably, lessons and insights Lee has obtained from riding the event six times previously. Lee discusses preparation the day prior, event briefings, and then a step-by-step commentary about the course and what to expect. 5 minutes: Lee talks about what riding you should do the day prior to the event, suggesting a short ride on Saturday before heading to the briefing sessions held on Saturday afternoon. See timings for the Bicycle Network briefing sessions here. 8 minutes: Lee talks about nutrition. Including the worst Peaks Challenge event he’s had from choosing a bad meal strategy the night and morning before. This includes what to take on the bike. 12 minutes: Lee talks about the start line of Falls Creek, which includes descending Falls Creek and the first climb, being Tawonga Gap. 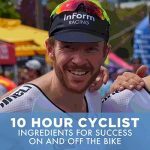 16 minutes: Lee talks about descending Tawonga and then on to climbing Hotham, including how he breaks Hotham into three main sections. 19 minutes: Lee talks about the lead into the back of Falls, and then the climb itself, including the mental challenge. 21 minutes: Lee talks about the finish line, the feeling and the electric community atmosphere at the top of Falls Creek. 25 minutes: Final house keeping suggestions – tyre pressure, gears, lights etc. Lee and partner Alison at the finish line of Peaks Challenge Falls Creek. Lee gritting his teeth climbing Falls Creek with 200 km in the legs.